Gifts from the Pirates: "Setting my mind on a musical instrument was like falling in love. All the world seemed bright and changed." "Setting my mind on a musical instrument was like falling in love. All the world seemed bright and changed." I couldn't be more proud of how the boys are growing up. There's not a week that goes by where they don't blow me away in some way. Seth especially over the last few weeks has made me so proud. When I was given the chance a while back to review a pBone I had no idea what it was, so I googled it and when I first saw it, I was desperate to give it a go. The first professional plastic Trombone and it came in a variety of colours... I'm quite sure that I'm not the only person that got excited about that. As much as I hoped they would, I never for one moment thought that either of the boys would take a serious interest in it, but there was a slight chance and I really couldn't pass that up. When the awesome purple pBone arrived, the following nights fell in to a routine of Seth dropping his school bag and going straight into the lounge to watch Youtube videos and try to learn as many notes as he could. It was lovely to see him trying something new and feeling motivated to learn more. Weeks passed and things then started to slow down and the pBone started to come out less and less. It was a little disheartening and I attempted to get things going again but I was never going to push it, so I just let things be. 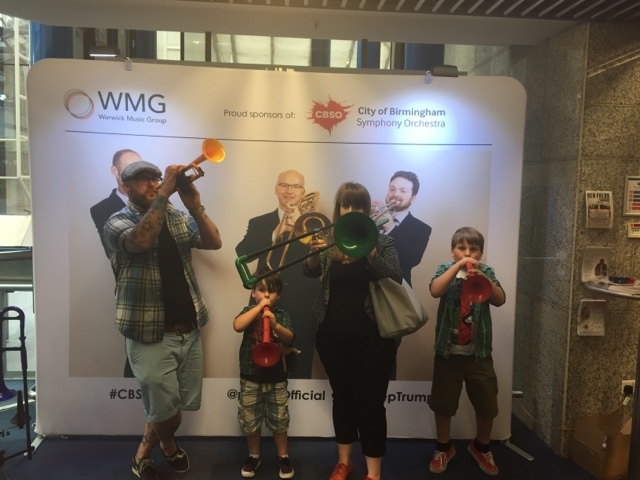 Then one afternoon we received an email from pBone inviting us to one of their events at the Birmingham Symphony hall, followed by the Birmingham Symphony Orchestra playing songs from the movies, which even to this day has been one of the most amazing nights that we have had together as a family. We were able to try out the pBuzz at the event as it had just been released and we were also given a trombone lesson which was a lot of fun. 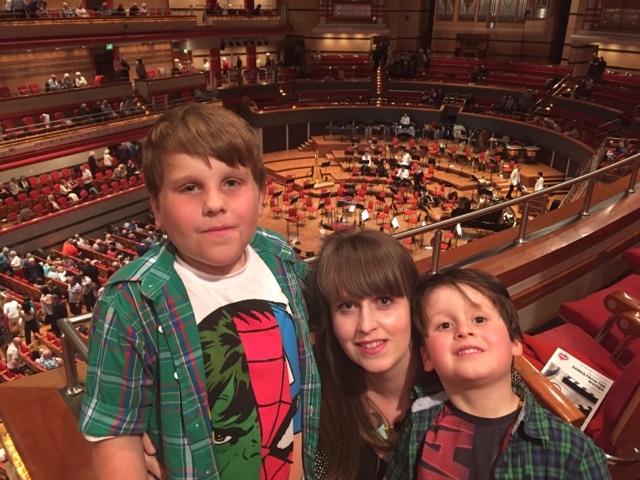 The show itself though was truly magical and as we left the Symphony hall, Seth, very excitedly, asked if he could have trombone lessons. 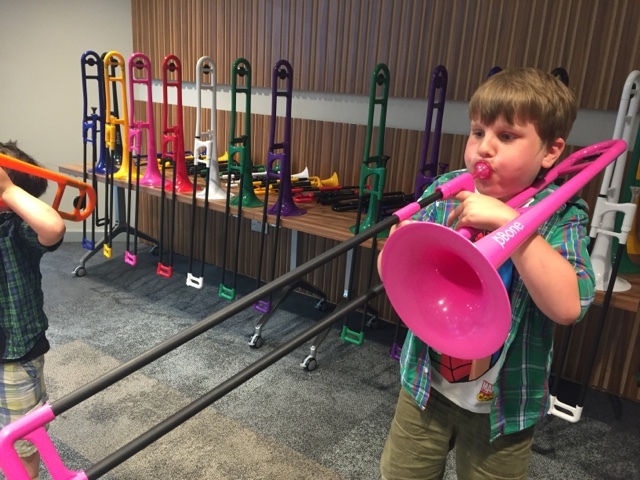 It was music to my ears (haha) and Mrs M had soon arranged for Seth to start having lessons at school which he instantly loved and his trombone teacher loved his pBone so much that she went and brought one for herself! (the magic of the pBone). When a musical show at school was planned and children were asked if they would like to be a part of it, Seth jumped at the chance. I feel so ashamed to say this but at the time I thought to myself 'I'm not sure what he was going to do in the show as he doesn't know how to play anything, just notes', (how wrong was I!). Seth decided on a song that he wanted to play (based I think on the Mighty Ducks hockey movie that he loves) and each night he would disappear to his room (or sometimes the garden) and the quiet in the house was replaced by his loud tooting. Even then I thought to myself 'I can't tell what that is?' and I worried that maybe he had bitten off more that he could chew by signing up for the show (I know what a terrible dad!). The show came around (which fell on my birthday) and as we sat in the audience I was feeling so anxious. Seth looked very serious and it was clear that he was nervous. when it was his turn to take the stage I began to brace myself unsure of what would happen next. Seth calmly stood up, placed his music on the stand and erupted into 'we will rock you'. There was silence in the room as he started but this soon turned into all the parents clapping and stamping their feet along to the beat. I was in complete awe of this amazing child on stage that had the confidence to get up and play in front of everyone, it made my birthday. The lessons have continued and Seth now states that 'he has a passion for music' which I love to hear. Which brings us to the last few weeks that have made me so proud as a dad. Seth has been looking around secondary schools to start in September, one of the schools that he has been very interested in going to is out of our catchment area but they offer the chance of earning limited placements for various skills and passions. 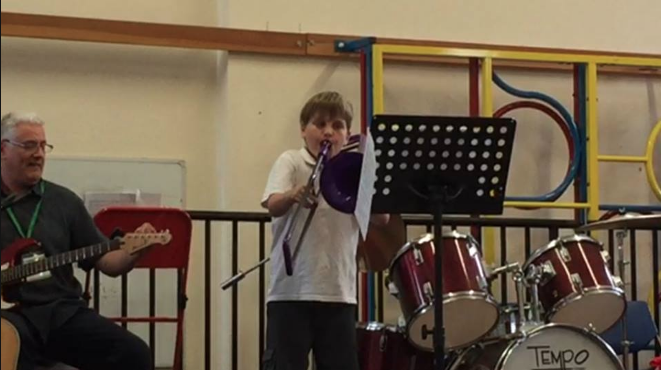 With 18 music places available, Seth was invited to an interview at the school and was asked to complete a musical aptitude test. On the evening before the test we were chatting and he told me that he wasn't expecting to get a place as he didn't feel like he was good enough and was yet to take his first grading, Seth being Seth though still went into that test confident that he would give it his all. One week later and he has received a place at the school, which we are all so excite about. Clearly his passion for playing really came through and he should never have doubted himself for a second. It's crazy to think that something as insignificant as an email asking us to review an instrument could have had such an amazing impact on all of our lives and I am forever grateful for pBone and the magic they have brought to our family. It is going to be so exciting for us all to watch Seth's next steps as he continues following his passion for music.